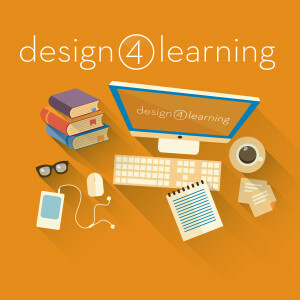 This is a guest post from scholarship recipient Denise Wetzel, a member of the Design for Learning community. 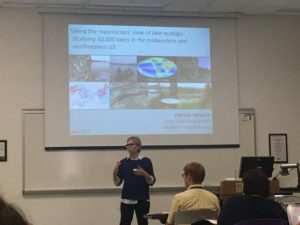 This past July, I was fortunate enough to attend the Great Lakes Science Boot Camp for Librarians 2017 at Michigan State University in East Lansing, MI. Through a much appreciated Design 4 Learning Scholarship, this Mississippi State University librarian could travel to a science discipline-specific conference. 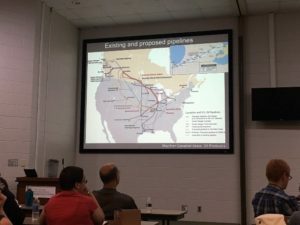 Over the course of 2 ½ days, attendees lived on campus, experienced talks from invited scientists, and toured various science facilities on and off campus. There was also a selection of lightning talks on the first day of the conference provided by attendees to share the innovative ways they support STEM research. I provided a lightning talk called “Reaching Out: Services for Mississippi’s Cooperative Extension Service across Mississippi.” This lightning talk allowed me the opportunity to share ideas I learned from the Design 4 Learning program and how I integrated them into my outreach for Extension personnel. 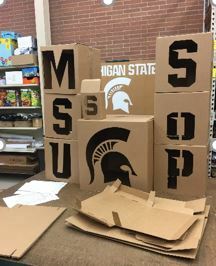 The first day of the conference began with 2 pre-camp tours, and I was able to visit the MSU School of Packaging that morning. The first session of the conference had speakers that focused on Sports Science and Kinesiology, with an emphasis on Human Movement and Concussion Impact Technology. This session was immediately followed by the lightning talks. That evening, the keynote speaker of the conference, Dr. Susan Masten, shared how the Flint Water Crisis began and why it’s not an easy problem to solve. The second day of the camp featured a trip to the Kellogg Biological Station, located approximately 65 miles from the main Michigan State University campus. 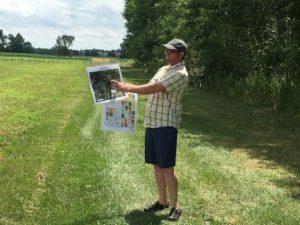 We toured the Bird Sanctuary, the Pasture Dairy Center, and the Long Term Ecological Research field lab. 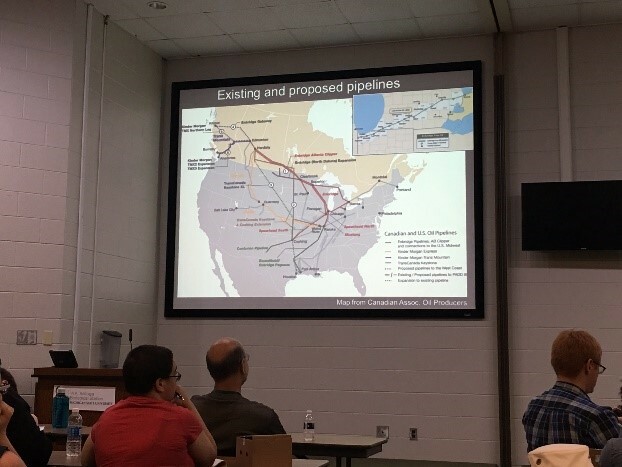 We also had a session on Biogeochemistry, with a talk about the Kalamazoo River Oil Spill. I learned from Dr. Stephen Hamilton that this was the largest inland oil spill in U.S. history, and many people never even heard of it. The oil for this spill came from the Western Canada Oil Sands. The day ended with an ice cream social (featuring Michigan State University ice cream) at the main campus library and a board game night. 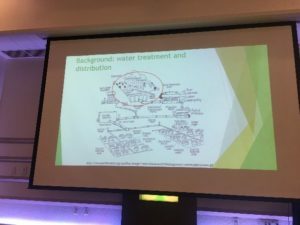 The final day of the conference featured two speakers on Agriculture and Natural Resources, with an emphasis on Intellectual Property and Lake Ecology. Dr. Pat Soranno and her team have been studying lakes in the Midwestern U.S. and the Northeastern U.S. They are hoping to study lakes across the U.S. as a whole and were recently funded for their study. It was a jam packed couple of days, but well worth the experience. Visiting the conference allowed me the opportunity to engage with other STEM librarians. I also had the opportunity to hear from practicing researchers during the various sessions of the conference and see how they individually view and value the library. Next year, the Great Lakes Science Boot Camp 2018 conference will be at Purdue University in West Lafayette, Indiana. The conference is well-worth the registration fee.